United Reformed Church www.urc.org.uk Find information about our denomination, its organisation and works. www.urcthamesnorth.org.uk for Thames North Synod. 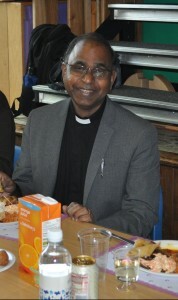 Thames North Synod is one of 13 Synods that make up the United Reformed Church. With the River Thames as the southern boundary, the 140 local churches of Thames North Synod serve communities in Greater London, Hertfordshire, Berkshire, Bedfordshire and Essex. The purpose of the Synod is for our 140 local churches to work together to support each other’s mission and ministry. Reform Magazine: www.reform-magazine.co.uk – monthly magazine exploring theology, ethics, personal spirituality and Christian perspectives on social and current affairs. Publisheby the United Reformed Church but has readers from all Christian denominations, as well as readers from other faiths and from no faith tradition. Commitment for Life: www.urc.org.uk/mission/commitment-for-life – the world development programme of the URC encourages churches to take action, pray and give for people across the world, especially in our four partner countries of Bangladesh, Jamaica, Israel and the occupied Palestinian territory and Zimbabwe. Works with Christian Aid and The World Development Movement. Fellowship of United Reformed Youth: www.fury.org.uk – an umbrella organisation including all young people aged 11-25 associated with the United Reformed Church. Vision4life: www.vision4life.org.uk – a process the URC followed for 3 years to 2011, focused on re-engaging with the Bible, Prayer and Evangelism. The resources are now archived for churches and individuals to freely use as well as a fourth year’s materials. Free to Believe (FTB): www.freetobelieve.org.uk – began informally within the URC but now includes many with similar aims from other denominations as an informal network of liberally minded Christians striving for an open, inclusive and thinking church. Organises national and regional conferences, publishes booklets, free email ‘Briefing’ newsletter three times a year. The Bible Society: www.biblesociety.org.uk – a wealth of information about the Bible, resources to help you engage with it and stories of people being changed by its message. Churches Together in Britain and Ireland (CTBI): www.ctbi.org.uk – there are many different Christian churches and denominations, butthey often need to work together, as well as co-ordinate the work they each do separately. CTBI facilitates that process. Various resources. World Council of Churches (WCC): www.oikoumene.org – a movement whose goal is Christian unity, bringing together churches, denominations and church fellowships in more than 110 countries/territories throughout the world, representing over 560 million Christians. Seeking unity, a common witness and Christian service. Various resources including about annual Week of Prayer for Christian Unity. The Iona Community: www.iona.org.uk – a dispersed Christian ecumenical community working for peace and social justice, rebuilding of community and the renewal of worship. Residential centres, books, music and worship resources.